Posted September 28th, 2018 by Mobile Music School & filed under Benefits of Music Education. Welcome to our second music education series! 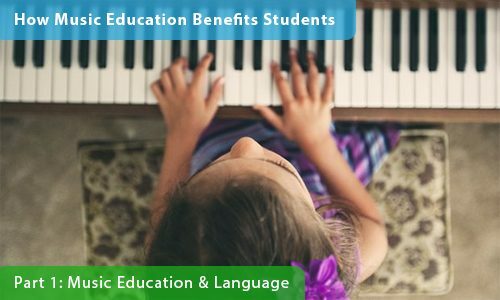 Based on 15 years of experience delivering music education in schools we have found that our music workshops and programmes yield a wide range of benefits to students of all ages. To begin the series, we will look at how weekly after-school music lessons enables students to make a strong connection with music and use it as a form of self-expression. Speaking to the Mobile Music School about her daughter’s incredible musical development, Siobhán talks about how her after-school piano lessons with us has encouraged her daughter to explore the language and mood of music. At only 7 years old in 1st class, Ailbhe has already been immersed into the world of music and is benefiting hugely from her weekly piano lessons with us. Even at such a young age and learning her first musical instrument, Ailbhe is enjoying learning Italian musical terms so much that she’s excited to go home and teach her mom, Siobhán, when she gets home! While playing for her family at home, Ailbhe emphasizes dark tones and eery moods in a music piece by drawing attention to the lower notes. This deep understanding of music that Ailbhe has aquired through her music lessons enables her to apply her music knowledge and make her own connections between music and mood. To learn more about how our after-school music lessons and how they can benefit your school, please contact us to discuss these options in further detail. To find out more about what’s involved in our after-school programmes, please visit the after-school page of our website. Part 2: Pride, Passion and Discipline in Music coming next week!